Northern White is one of the most sought-after woods, ideal for many outdoor and indoor uses. 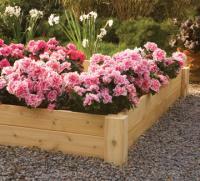 It is a fine grained wood that is durable and resistant to rotting and insects. Because cedar is a top choice for carefree living, it can be left natural or it can be painted or stained to match any décor. Left untreated, Northern White Cedar will weather to a beautiful soft silvery gray. Untreated cedar is natural and pleasing, however, the wood is porous and over the long term may become discolored if left in damp or shaded areas. A 20 percent solution of household bleach in water with one ounce of detergent per gallon will usually remove the stain. 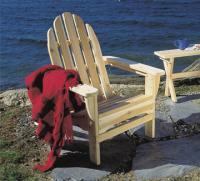 Even after years of exposure, cedar can be refinished to its natural bright clean appearance. 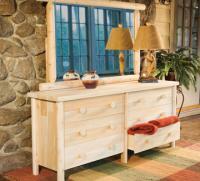 If you opt to stain your cedar furniture, there are a wide variety of penetrating stains. 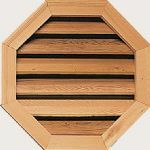 Rustic Natural Cedar recommends Penofin because it is formulated to enhance the natural beauty of the wood and will keep it looking that way. Some stains also have water repellant additives and mildew inhibitors. 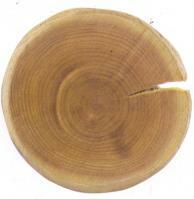 Penetrating stains go into the wood without forming a surface barrier. This eliminates the problems of blistering and peeling of painted surfaces. 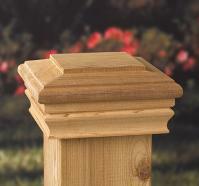 They work well on wood with knots and deep surface texture. Whichever stain you opt to use, please follow the manufacturer's directions for a successful application. 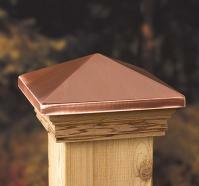 If you decide to paint cedar, the natural color and grain of the wood will be concealed. So many great colors are now available to accent your décor. Our furniture is also popular with artists who paint flowers, natural scenes, or whimsical patterns right on the furniture. Follow the directions on the manufacturer's product for the best application methods.